Toshiba Boosts 3T MR Performance and Workflow with Software Upgrades – Canon Medical Research USA, Inc. Toshiba Boosts 3T MR Performance and Workflow with Software Upgrades – Canon Medical Research USA, Inc.
Hardware and software upgrades to Toshiba’s 3T MR systems improve image quality and workflow so those in both the clinical and research settings have access to the highest levels of performance and information to provide the best possible care. 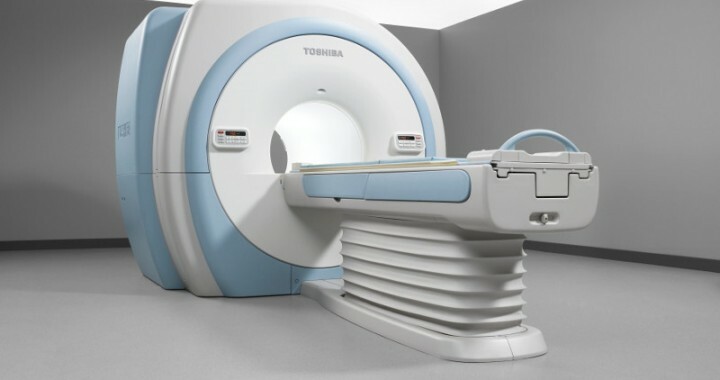 To meet both clinical and research needs of MR customers, Toshiba America Medical Systems, Inc. has implemented software and hardware upgrades for the Vantage Titan™ 3T MR imaging system. Available both for new Titan 3T MR systems and for existing installations, these upgrades improve image quality and workflow so those in both the clinical and research settings have access to the highest levels of performance and information to provide the best possible care. Saturn Gradient: This entirely new gradient design option provides increased performance and image stability for maximum quality. fMRI Enhancements: With Pianissim™ noise reduction technology, Titan 3T MR systems deliver the quietest fMRI in the industry, ensuring a patient-friendly environment. Diffusion Tensor Imaging: With the benefit of the new gradient design and the Pianissimo noise reduction technology, Toshiba delivers outstanding performance in a patient-friendly environment. Isotropic Imaging: Toshiba's mVox 3D isotropic imaging makes high-quality MPR 3D post-processing possible in any plane. Arterial Spin Labeling: Time-SLIP labeling provides improved visualization of cerebral vascular circulation without the use of contrast media. 16-Channel Flex Medium and Large Coils: These multi-purpose coils improve signal-to-noise ratio for better high-resolution imaging of a variety of anatomical regions. Updated M-Power Interface: This user-friendly interface now includes more flexibility in parameters and new sequences to offer operators better control and faster access to crucial information. "These software enhancements were designed for customers in both the clinical and research space, highlighting image quality without hindering workflow," said Guy Poloni, director, MR Business Unit, Toshiba. "These upgrades make Toshiba a strong contender in the high-end 3T MR market." Toshiba will showcase these upgrades to the Vantage Titan 3T system at this year's International Society for Magnetic Resonance in Medicine (ISMRM) annual meeting in Toronto, May 30–June 5, 2015 (Booth #601).